exceed the minimum standards of many State Departments of Education. The educational standards are academically comparable to USDE recognized accreditation educational standards. The CPCA process recognizes faith based principles of operation which includes faith based economic principles. Debt is a problem for college students after graduation. CPCA institutions discourage student loan debt. Therefore, CPCA certification excludes the massive USDE recognized accreditation requirements pertaining to receiving US government Title IV funds. This includes federally backed student loan money. Accepting these funds leads to, "whoever pays the piper has the right to call the tune." This allows government to have requirements that violate God's faith based principles in the Bible. CPCA Certification with the Council of Private Colleges of America includes quality peer review, certification Facilitator Team visits, and verifying data to CPCA standards. These CPCA standards are academically comparable to USDE recognized accreditation educational standards for educational or professional institutions and programs. The CPCA determines the extent to which the measurable standards of excellence are met, and publicly announces their findings. 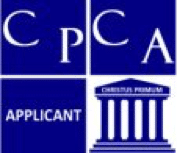 The CPCA Certification Commission encourages each of its member institutions to be certified with 21st Century CPCA Certification http://cpca-edu.us/certification This enables member institutions to achieve distinguished membership levels in the CPCA and the Florida Council of Private Colleges (FCPC) http://fcpc-edu.org. Level 4 Distinguished membership requires either CPCA 10-Year CERTIFIED Certification or CPCA 5-Year CERTIFIED Certification. Level 3 Distinguished membership requires either CPCA Candidate Certification or CPCA Candidate Certification. The Council of Private Colleges of America is a certification agency that establishes operating standards for educational or professional institutions and programs in US states, territories and internationally where it is feasible to do so. The CPCA determines the extent to which the standards are met, and publicly announces their findings. Certification with the Council of Private Colleges of America includes quality peer review, certification Facilitator Team visits, verifying data to CPCA standards for educational or professional institutions and programs which are similar to accreditation. CPCA certification requires affirmation of compliance with the academic excellence standards of the CPCA patterned after our early historical United States educational institutions of higher learning. CPCA standards equal or exceed the minimum standards of many State Departments of Education. Accreditation is essentially a statement of approval. In the United States, if it is to be meaningful in that an institution is eligible for Title IV Federal funding, it must come from an independent accrediting association that has attained its own approval from the United States Department of Education (USDE). In the US, the government does not accredit institutions. However, the USDE is in the business of approving the associations which do accredit institutions primarily for the purpose of serving as gate keepers for Title IV Funding. This point must be understood in order to properly understand USDE recognized accreditation. The primary reason that USDE approves accrediting agencies is to assure control over the flow of Title IV Funding; the nearly 80 billion dollar congressionally approved annual money stream that flows from taxpayers to educational institutions that are accredited by an agency approved by USDE. The greater part of accreditation requirements are geared toward satisfying the USDE mandated standards specifically designed to regulate the flow of the huge taxpayer investment in Title IV Funding for higher education. 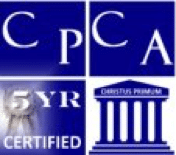 The CPCA has pioneered use of the term "certification" to avoid any confusion with the term “accreditation” thereby, keeping the Lord’s testimony above reproach. CPCA certification is also essentially a statement of approval, but significantly different from accreditation in several important ways. Most important, CPCA certification is not tied to Title IV Funding. Only USDE recognized accreditation qualifies institutions to receive such funding. CPCA certification is not the same as accreditation because the CPCA certification criteria are not geared toward satisfying the requirements for Title IV Funding. The CPCA certification process recognizes faith based principles of operation which includes faith based economic principles. This is one of the reasons that certifying agencies are not as well known, and their value not as readily understood. Legitimate CPCA certification is academically comparable to USDE legitimate recognized accreditation educational standards in that it also involves voluntary peer review through private agencies accountable to their constituents. Legitimate CPCA certification is not tied to the federal government Title IV Funding, but USDE legitimate recognized accreditation is tied to Title IV Funding. Much of the misunderstanding that arises between the two is due to the lack of consumer awareness and the generally held, though false belief, that accreditation is the only standard for academic legitimacy. Furthermore, certification is a term more often associated with professions. For example, there are certified professionals in banking, insurance, medicine, and in many other areas. Of course, the term "accredited" is also used in many of these situations. For example, an organization may be an accredited member of the Better Business Bureau. This is because the two terms often serve as synonyms. However, when it comes to higher education, “accreditation” is tied to Title IV Funding and legitimate CPCA certification is not. CPCA legitimate certification is an excellent vehicle for achieving distinguished academic legitimacy, especially for faith-based educational institutions with no desire or need to seek government accreditation for the purpose of qualifying for Title IV Funding. In fact, within legitimate higher education circles, it is understood that not all higher education institutions need USDE recognized accreditation as is evidenced in the following quotes. The United States Department of Education also makes the point; "It should be noted that some institutions have chosen not to participate in the federal student aid program (Title IV Funds) and therefore do not have to be approved by an accrediting agency recognized by the USDE Department. While these institutions do not appear on the USDE’s Department list, they may be legitimate schools." The Council for Higher Education Accreditation (CHEA) states; "There are institutions that may not be accredited but are not degree mills. For example, the institution may be seeking accreditation, but the process is not complete. Or a legitimate institution may choose not to be accredited for reasons that do not relate to quality." Legitimate examples: Do not want federal Title IV Funding. Not cost effective to seek USDE recognized accreditation. Do not want to yield Biblical authority to government authority. A former executive director of the Association for Biblical Higher Education (an accrediting agency recognized by the USDE), stated that "There are hundreds of Bible Colleges and Seminaries in the United States and Canada that are offering good solid theological training, yet they are not accredited. This would be the case with our Affiliate institutions that take advantage of the programs and services that we offer." Legitimate examples: Do not want federal Title IV Funding. Not cost effective to seek USDE recognized accreditation. Do not want to yield Biblical authority to government authority. Therefore, both unaccredited and accredited faith-based institutions of higher learning are encouraged to consider the many benefits of 21st Century CPCA Certification.